Onwards and upwards - that’s definitely the trajectory for likeable Aussie pro Brenton Jones, the unmissable 79kg, 1.82m sprinter from Victoria. 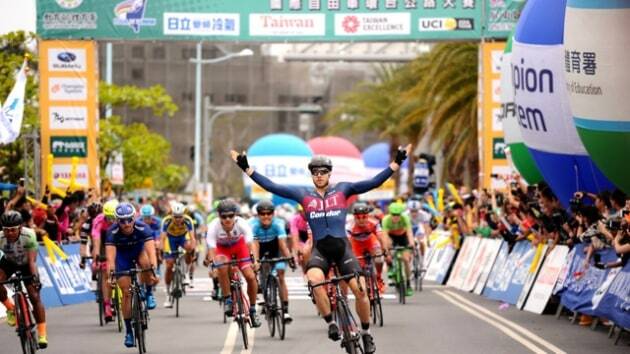 Victory for Brenton at Stage 5 of the 2017 Tour of Taiwan. Image: Terry Hsiu. While many cycling fans will have followed the 26yo's progress over the past few years - through the NRS ranks with the Avanti team, then Drapac, and most recently UK-based Continental team JLT Condor in 2017, it’s fair to say many more will become acquainted with Brenton’s name over the coming season or two. For 2018 he has signed with French Pro Continental team Delko Marseille Provence KTM, a high-profile team we can expect to see at many major races over the year ahead. Living up to his fast-man status, Brenton is a difficult man to pin down. We finally caught up with him during one of his recent trips back to Australia. He was flying back to France the following day, is returning home for Christmas and the Nationals in early January, then jetting back overseas to start the season proper. We started by asking this high-flying achiever about all that travel - how does a high-energy individual cope with so many stationary hours at altitude? And those hours on the plane and in transit? Brenton Jones continues to mix it with some of the world's fastest riders and biggest names. 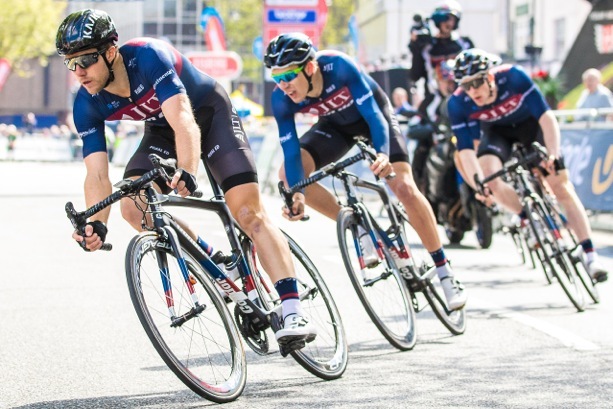 Brenton with JLT Condor teammates during the 2017 Tour of Britain. Brenton enjoyed a stellar 2017, there were many highlights including finishing alongside the best in the world at the Tour of Britain - in one ‘I’ve arrived’ moment he crossed the line 4th to Caleb Ewan, Edvald-Boason Hagen and Alexander Kristof. “To see myself in a Continental team alongside those guys - it was very good for the confidence,” he said. "To be riding against the quality of these riders in a big race like Tour of Britain is satisfying and gives me confidence going into future sprints against the worlds best and motivation to train and work hard. Brenton told us that for 2018 the French team have been upfront about offering him full sprint support. Paris-Roubaix And Tour de France? On that wildcard entry to the Grand Tours - where anything and everything can happen such as 2017 where riders such as the aforementioned EBH and Kristof were there in the sprints - the opportunities for Brenton are clearly enormous. At around 80kg and 1.82m, Brenton stands head and shoulders above many typical-sized sprinters. We asked him about the differences and the challenges he faces in a race situation. For 2018 Brenton will line up with highly-respected French Pro Continental team Delko Marseille Provence KTM. “Yes there are obviously many challenges of being a bigger sprinter,” he said. “I have to work harder than most on every climb, but I make up for that in the sprints being stronger to muscle my way around the peloton more comfortably." At yet another exciting juncture in his career, we asked who he looks up to? 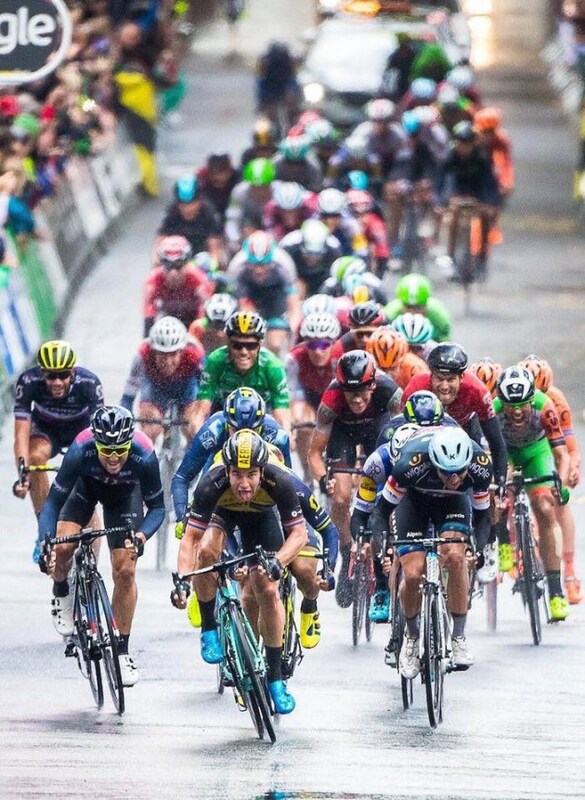 Brenton Jones (left) finishing with some of the world's top sprinters during the 2017 Tour of Britain. I'm not particularly attached to one bike brand compared with another but the Condor was a great all-round bike and from a sentimental point of view I have to say the Condor because of the success I had on it this year. The thing you eat or drink that you know you shouldn’t? Hot chips! They are my weakness even if I don't order them I'll always steal one off someone else's plate. The place you most like to ride is? Jindivick, Victoria. It's a small village in the Gippsland region where I grew up. It's a fantastic place to train with the quite country roads offering enough variety to suit my training every day. Perfect day off the bike would be? Relaxing and enjoying one of the following activities: Beach, golf, motorbike riding or spending time with family and friends. Dream palmares by 30yo would include? I have 6 UCI Professional wins so far so I would hope to increase that number each season. 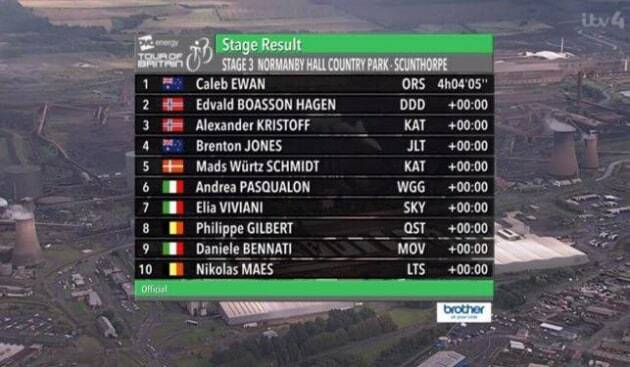 Tour de France stage win. Top 10 in a major classic. Top result in a world championship. Participate in an Olympic Games.